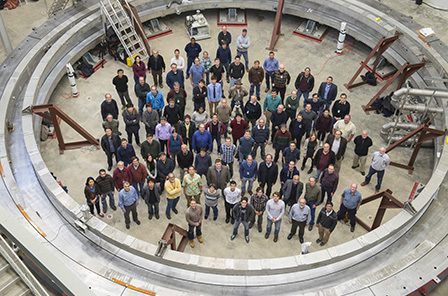 The Precision Muon Physics Group joined CENPA in 2010. We built the effort at the University of Illinois at Urbana-Champaign, where Dave Hertzog was a faculty member since 1986 and Peter Kammel since 2000. Our mission is to identify compelling, precision experiments that either determine fundamental quantities in physics or sensitively test the Standard Model. Students and postdocs in our group take on leading roles in hardware design and development, all operational aspects of running a complex beam experiment, Monte Carlo simulation, data analysis, and presentation. As a rule, we work collectively on all experiments, but each group member has a specific main focus. Defining the parameters of the (new) standard model (SM) is a high priority of both particle and nuclear physicists. Important advances come from efforts to produce high-mass particles at colliders and symbiotically from precision low-energy measurements. These techniques give a glimpse into the fundamental nature of the new SM. The recent result from the LHC indicating the presence of a boson with a mass of 125 GeV/c2 is very exciting and stimulates the next generation of study. Truly understanding the fundamental physics and establishing model parameters will require the data from a host of complementary “precision'” measurements. Among these are neutrino mixing-angle and mass measurements (other CENPA expertise! ), and the search for neutrinoless double beta decay (again, CENPA experts). They include high-precision comparisons of SM predictions with measurement, such as the muon’s anomalous magnetic moment, or the running of the weak mixing angle. Technological and facility advances will allow great strides forward in high-sensitivity searches for the permanent electric dipole moments of the neutron, electron, and certain atoms (UW leading effort); in select rare kaon decays; and in charged lepton flavor violation tests for muons and taus. Collectively, these low-energy precision experiments are part of the New Standard Model Initiative as prioritized in the 2007 Long Range Plan. They are, in general, interdisciplinary efforts where nuclear physicists either lead or work in close partnership with high-energy and atomic physicists at a variety of facilities worldwide. The muon anomalous magnetic moment, measured by our E821 Collaboration to a precision of 0.54 ppm, represents a stringent test of the Standard Model. Current (2010) comparison with theory indicates more that 3 standard deviation difference, arguably the strongest experimental hint of new physics. The implications are profound as the magnitude of the deviation locks squarely with predictions by many supersymmetric models and implies mass scales that are quite accessible at the Large Hadron Collider. Toward a more sensitive experiment, we helped propose a new experiment at Fermilab (Hertzog co-spokesperson), relocating much of the critical equipment there, and augmented by new detectors and electronics. Our group helped design beamline strategies and we have built and tested prototype W/SciFi calorimeters with SiPM readout as part of ongoing R&D efforts. 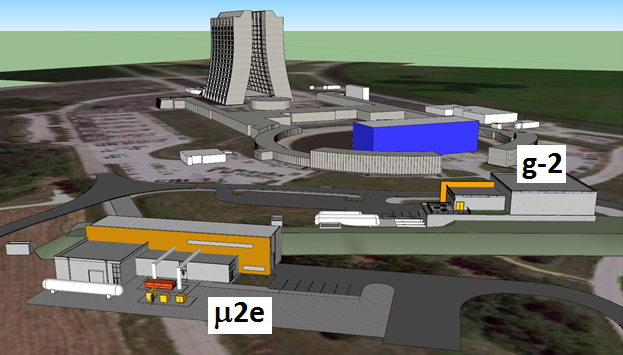 The experiment was approved in January 2011 and received CD-0 in September 2012. Credit: Fermilab. 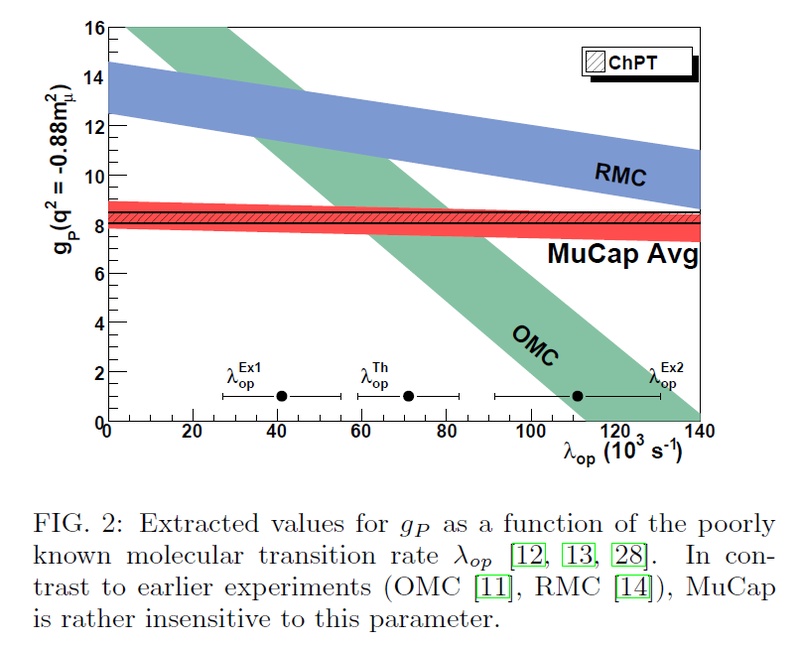 MuSun (Kammel co-spokesperson) will measure muon capture on the deuteron, the simplest weak interaction process on a nucleus that can both be calculated and measured with high precision. Modern QCD-based theories relate capture to one of the most important nuclear reactions of the universe—weak pp capture—which is the main source of energy in the Sun. It is also related to the ν+d reactions detected by the Sudbury Neutrino Observatory with significant participation of CENPA. To the required precision, these reactions depend on a single parameter, which characterizes poorly known aspects of the two-nucleon axial current. MuSun will be the first precision measurement of this constant in the 2N sector and will help to calibrate the basic astrophysics reactions. 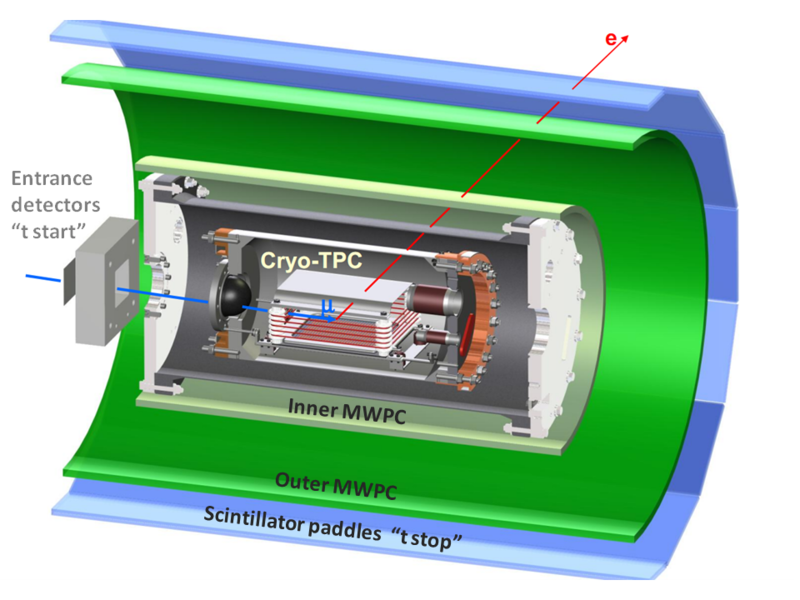 The technique is unique, as it relies on a cryogenic time-projection-chamber, with critical developments in our UW laboratories. Muon-to-electron conversion in the field of a nucleus is ranked as one of the outstanding opportunities to search for physics beyond the SM at low energies. The search for charged-lepton-flavor-violating processes, and muon-to-electron conversion (Mu2e), is of topical interest in the context of the search for new degrees of freedom at the TeV scale at the LHC. Many new physics scenarios lead to flavor-violating mixings, where Mu2e is expected to be observable in the next generation of experiments. In case the new physics is significantly heavier than the TeV scale and LHC discovers only the SM Higgs boson, searches beyond the Standard Model might have to rely for some time on low-energy precision experiments, where new physics enters through virtual loops. Mu2e will provide one of the few windows into mass scales of several thousand TeV. The new Mu2e experiment at FNAL should improve present experimental limits on this reaction by four orders of magnitude, to a single-event sensitivity below 10-16. Our group's effort is focused on optimizing the target and we are leading test experiments at PSI to characterize the dominant Standard Model processes. The Muon Lifetime Analysis (MuLan) experiment (Hertzog co-spokesperson) recently completed a measurement of the positive muon lifetime to a precision of 1.0 ppm (part per million), the most precise particle lifetime ever measured. 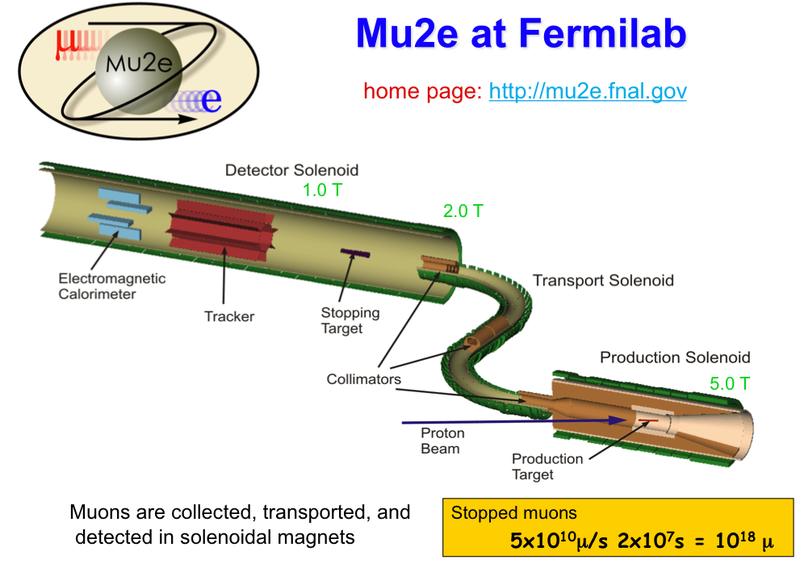 The muon lifetime provides the most precise determination of the Fermi coupling constant, which is one of the fundamental inputs to the Standard Model. Recent advances in theory have reduced the theoretical uncertainty on the Fermi coupling constant as calculated from the muon lifetime to a few tenths of a ppm. The remaining uncertainty on the Fermi constant is entirely experimental, and is dominated by the uncertainty on the muon lifetime. 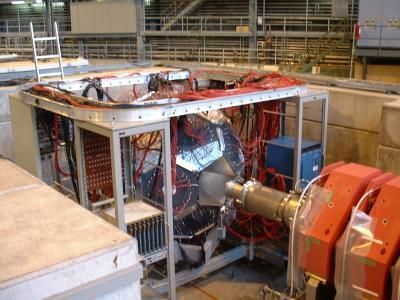 The MuLan experiment used an innovative pulsed beam, a symmetric detector, and modern data-taking methods to obtain more than 2x1012 events. The result has been published in PRL: http://prl.aps.org/abstract/PRL/v106/i4/e041803.